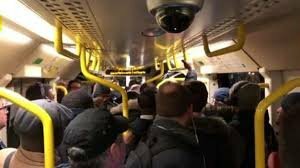 Full of cold, tired, uncomfortable passengers, a Southeastern evening train was stalled on icy tracks in south London near Lewisham station on March 2, 2018. Passengers had been stranded aboard the packed train, standing up for more than three hours without heat, lights, or restroom facilities. Finally fed up, a passenger pressed the emergency button, forced the doors open, and jumped off the train through the emergency exit. A “mutiny” grew, as crowds of passengers decided to detrain in the same manner. As a flood of passengers—some who had been stranded for more than five hours—escaped from more and more trains along frozen tracks, they unwittingly risked electrocution by walking along rails that carried 750 volts of electricity, as well as running the risk of being hit by other trains. 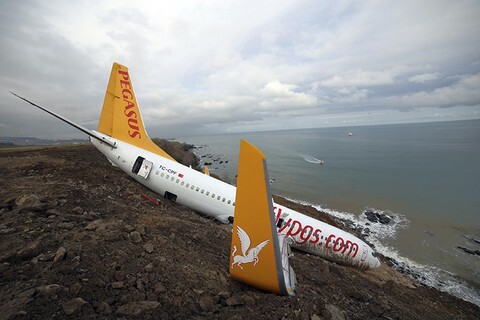 The detraining of passengers triggered the police. British Transport Police, the Met Police, and the London Fire Brigade were soon attending the scene. 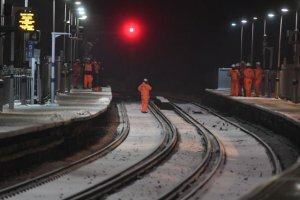 Network Rail and Southeastern turned off the power, causing a domino effect of delays for a significant number of trains. In turn, the stoppage of trains caused more passengers to exit onto the tracks. 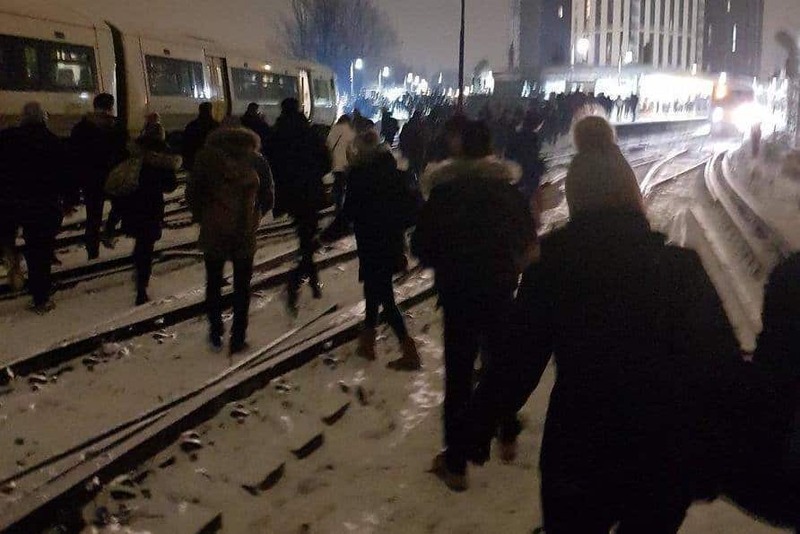 A spokesman for Network Rail declared that it was “incredibly irresponsible and dangerous” for passengers to trespass on the tracks. Through a tweet, the British Transport Police conveyed that all available officers were deployed to help evacuate passengers stranded on trains. Communication through tweets became the conduit of both information and frustration. 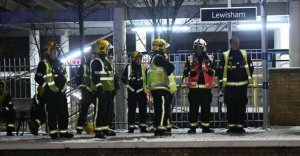 We were hand clearing conductor rail to rescue 2 trapped trains at #Lewisham when our manager found people on the track. Mick Cash, leader of the Rail, Maritime, and Transport Union, stated that the incident “raised some serious issues about the capacity of Britain’s railways to cope with added pressures from adverse weather,” calling for “a full and transparent investigation” into the rail service issues from the incident. RAIB sets out in the report that “The initial detrainment occurred because of the time the train had been held at the signal. Passengers were getting increasingly uncomfortable in crowded carriages with no toilet facilities. Ultimately the motivation of passengers to leave the train outweighed the effectiveness of encouragements to stay on board. Read the full RAIB report plus its recommendations here, released March 25, 2019.